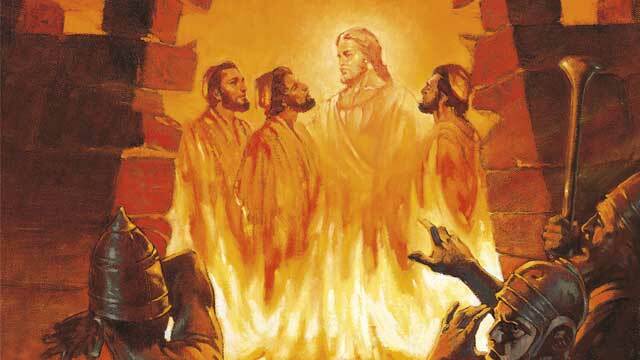 I did not create the furnace of affliction to throw you into it, says the LORD. The enemy devised it, created it and desired to destroy My people in it, but he will not accomplish his diabolical purpose. It will backfire in his face, as I stand with you in it. You will not even be singed, and the smoke will not burn your eyes distort your vision. The flames will not harm you or touch you. For not only will I be with you in the fire, but I will bring you out of it, untouched, and you will be promoted, not demoted. You will be honored, not embarrassed. You will not be ashamed, but elevated and recognized as a vessel of honor, that I will beautify and use for My glory, says the LORD. Promotion is coming for all who have endured hardness as good soldiers in My kingdom, says the Lord. For your suffering is light affliction compared to the glory to come. Though it seems endless and difficult, I will make you to forget the pain of the past as I Heal your wounds and restore comforts to you. I will restore your soul and you will more than recover your losses as you spoil the camp of the oppressor and trample him under foot. I will position you on top as you experience the sudden shift and turn around. The enemy that oppressed you will be exposed, embarrassed, openly defeated, powerless and ashamed. You will excel in My kingdom and eat the good of the land of your promised possession as I give you joy for your sorrow and cause you to utterly triumph in Me, who is not only your shield, but exceeding, great reward, says the LORD. Christine Bennett – some encouragement for you. Things will be better!